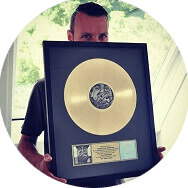 Buy rap and hip hop beats with hooks from multi platinum producer Freek van Workum. Interested in beats with hooks? Let me give you a free DOWNLOAD. Lil Nas X type beat with hook "CowGirl"
"CowGirl" is a country trap rap beat with hook with a very modern sound. As demonstrated by Lil Nas X, hiphop country is a style that can generate #1 Billboard hits as well. Expect similar rap beats with hooks to arrive soon! Eminem Type Rap Beat With Hook "New Enemies"
This hook is about old friends that turn into New Enemies. Basically, the people that hold you back as soon as you progress to new levels in life. This hook beat instrumental is a great inspiration for a meaninful song! Eminem type instrumental with hook "No Apologies"
"No Apologies" is dark rap instrumental with hook in the style of Eminem or Post Malone. This is the type of hook beat that could be a big hit. Although it has a dramatic tone to it has a lot of commercial appeal just by the vocal alone. Post Malone Type Beat With Hook "Demons"
"We've all got our Demons, but mine are the meanest". If the lyrics on this rap instrumental with hook don't hit home for you I don't know what will. This is the hook type beat that you can score a big hit with. It's simple. Not all hooks are created equal. Or like Meek Mill has put it in the past: "there's levels to this sh!t!" Instrumentals with prewritten hooks come in all shapes and sizes online. However, how do you distinguish what's worth your money? Does The Hook Inspire You? One of the keys advantages of purchasing any type of beat with hook is the inspiration you can draw from it. Do the lyrics inspire a topic you want to match your verses too? Perhaps you're a singer yourself and would like to use the hook's melody with different words. Maybe you just want to make some slight differences! If the answer is "yes", then proceed to the next step. The quality of the recording of the hook is super important. I really can't stress this enough. In 2019 and beyond, people are not going to want to listen to rough and harsh sounding vocals that are somehow meant to be catchy. Would you like someone from a record label to hear song from you like that? So yeah. Raw unprofessional recordings are defenitely a no-go. Does The Beat Move You? And last but certainly not lease: do you love the beat? Some people fall in love with the lyrics of a song. However, some never pay any mind to that side and just enjoy the instrumental. Obviously, a great song usually is a mix of these two. The best of both worlds, if you will. So does the actual beat sound like something you want to hear on repeat? Or is it pure trash 🗑️? Be sure to think about that before wasting your hard earned money. Concluding, I think the overall feel of a track is the most important. Nevertheless, if you want to get into it a little deeper you should definitely pay attention to the factors I mentioned. Does the hook inspire you? Is the sound recording of professional quality? Does the beat move you? If all 3 of these check out it's time to buy that beat with hook!